How about another piCture pOlish series post? 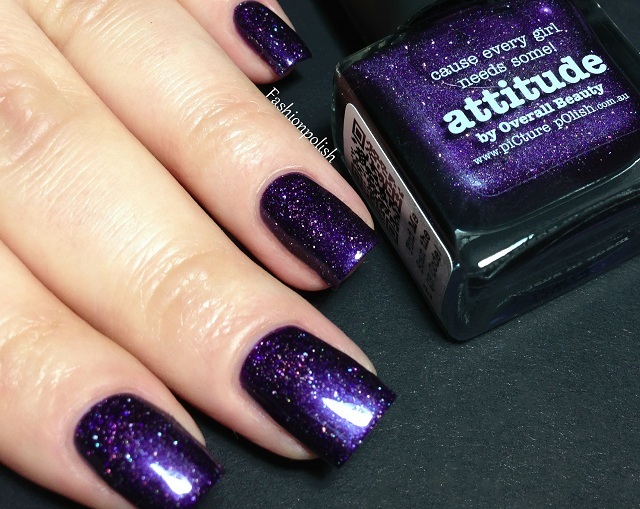 Today I have another holo, from the Collaboration collection : Attitude! 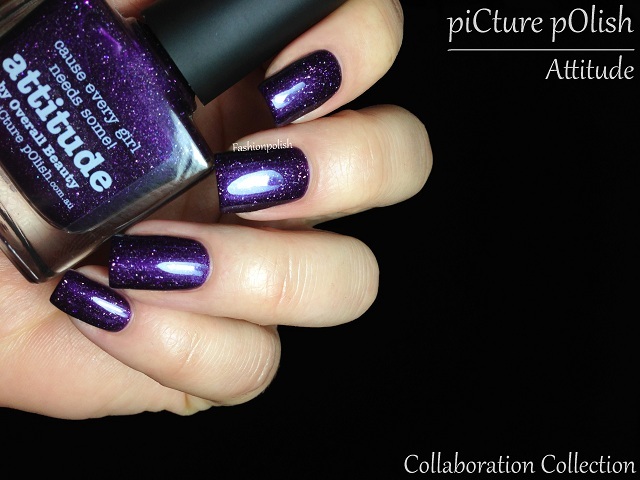 Attitude is a dark and warm purple scattered with holographic specks imagined by Kim from Overall Beauty. The exact same particles as in Demeter, Kryptonite or Cosmos. 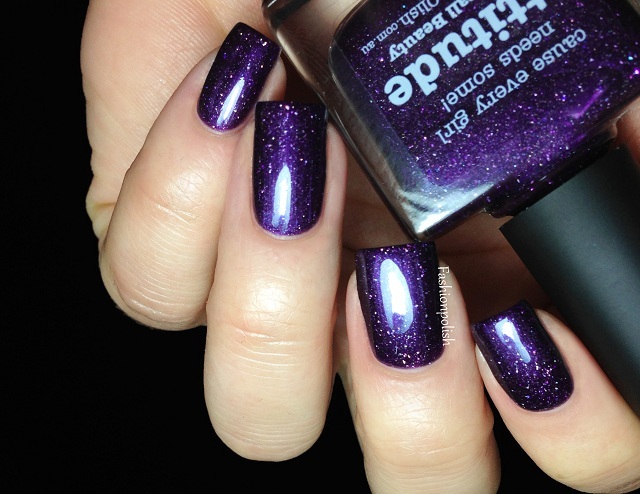 I could probably go on about how gorgeous it is and how I love purples and how I love holos and how gorgeous it is (again!) but you already know all that, don't you? Formula was, of course, a pleasure to work with and applied pretty much perfectly in 2 even and easy coats. Do you own Attitude or any of the collaboration shades? If so, which one's your favorite? I love this one! My goal is to try and get all the Collaboration shades. I have Mirage, White Wedding, Cosmos, Pshiiit, and Kryptonite. It's hard to tell which one is my favourite, they are all so gorgeous! What top coat do you use? I'm looking for a good one. Lovely. What top coat do you use? I'm looking for a good one. OMG!!! This is so pretty. I super love the color for I find it so elegant and classy. I would def want to have this. OMG. This looks so pretty! It's like stars or galaxy. This is soooo beautiful!!!! I got Cosmos, Phsiiit, White Wedding, so this would fit the row perfectly ;-). Oh my this one is gorgeous! I have to be honest: I do own Attitude, Kryptonite and Demeter, and Cosmos is on its way to me. But I haven't worn any of them yet. Shame on me! Gorgeous! I really want to try this brand!